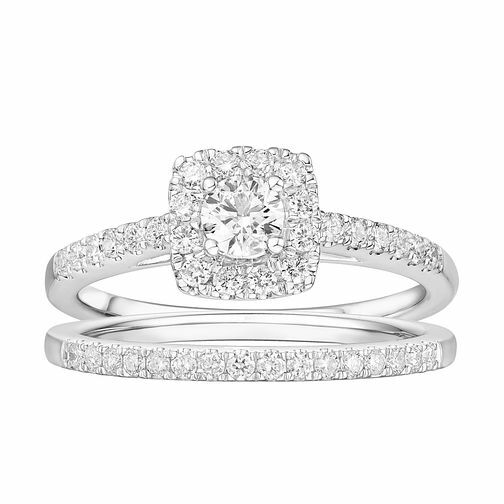 Shine bright with this captivating bridal set by Tolkowsky. Featuring an exquisite platinum cushion cut diamond solitaire engagement ring with a halo of dazzling diamonds and diamond encrusted shoulders, along with a diamond set wedding band. As the inventors of the Ideal Cut, Tolkowsky adheres to the highest standards of quality with diamond centre stones, boasting outstanding cut and clarity every time.